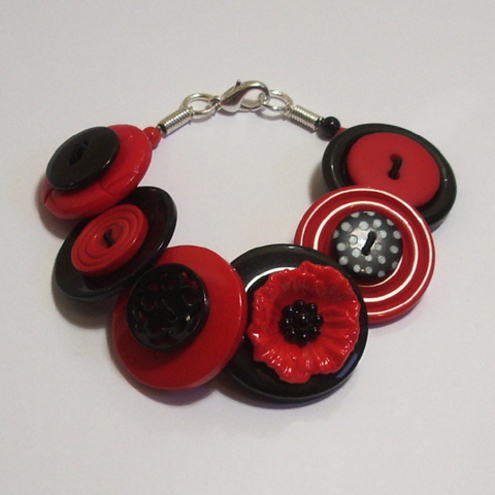 Folksy :: Buy "Poppies - Red and Black button bracelet "
This distinctive button bracelet rich with an assortment of red and black buttons, features one red poppy button. All these are threaded onto jewellery wire, which secures at the end with a silver plated lobster clasp fastener. Folksy :: Buy "Black and Red Stretchy Bracelet"
Folksy :: Buy "Red and black Wraparound bracelet"
Folksy :: Buy "purse with button, cotton"